I've always been a big believer in the fact that healthy eating is a part of a smart plan for living well. Let's face it, what we eat is a big factor in determining our quality of life. This year I'm committed to healthy eating, but also want to find easy and quick ways to put my meals together. 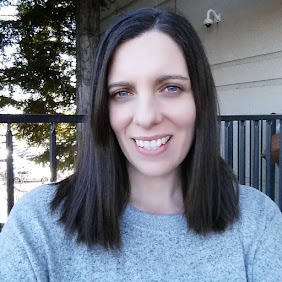 I don't want fixing healthy meals to be a burden on my time or my budget. Tyson Grilled & Ready is the answer I need to put together those yummy dishes. I am a huge chicken lover, and having my chicken already cooked and grilled for me is a fabulous time saver. 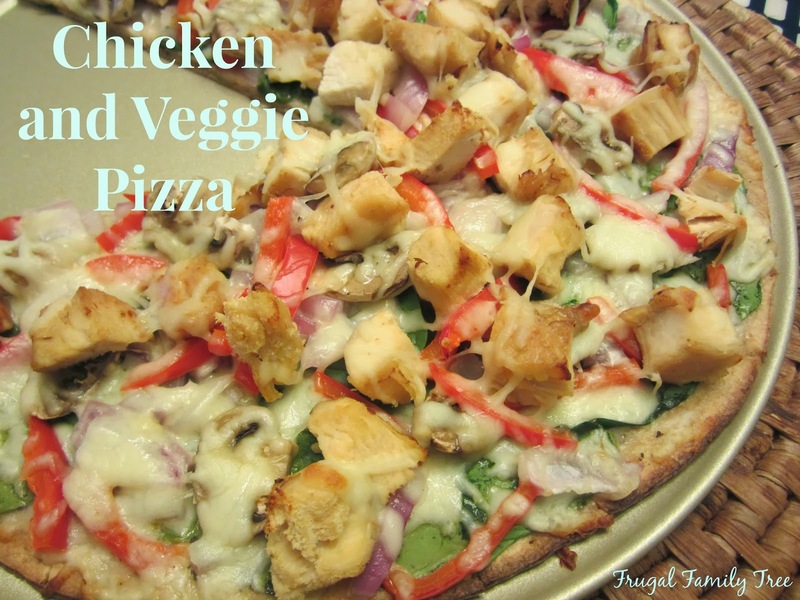 I made this easy pizza with a thin whole wheat crust, some of my favorite veggies, and topped it with the Tyson Grilled & Ready Oven Roasted Diced Chicken Breasts. I threw on a little low-fat mozzarella cheese, and in the oven it went. I know some people might not think of pizza as a healthy lunch or dinner, but it can be when you choose the right toppings. 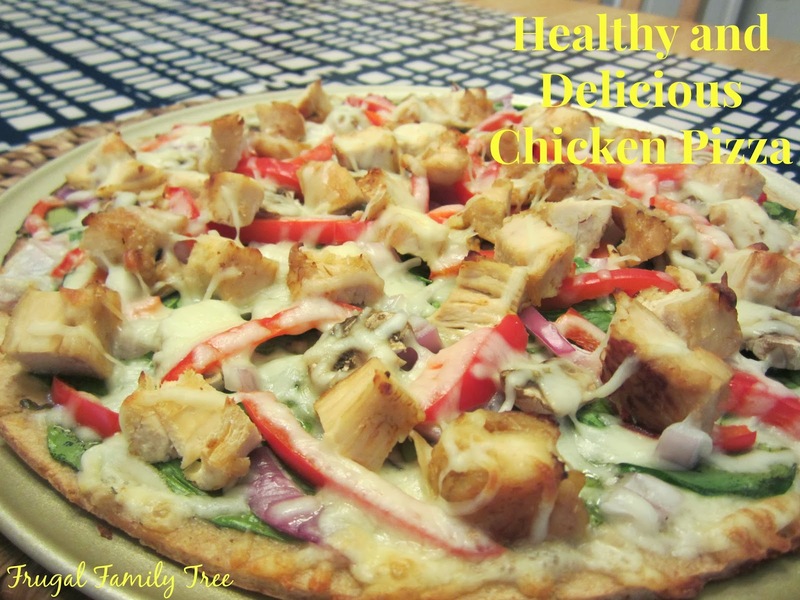 When you #JustAddTyson chicken, you are adding a great source of lean protein to your pizza, too. 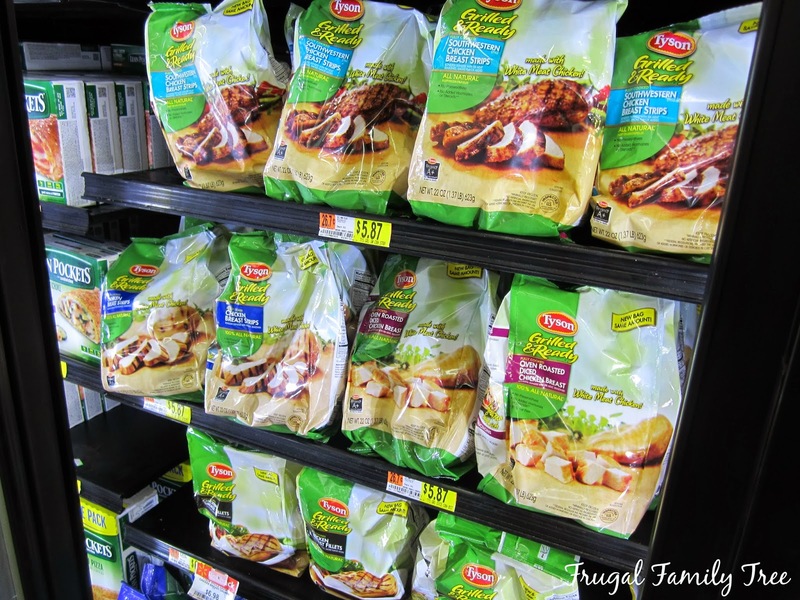 On my weekly shopping trip at Walmart, I found all these Tyson Grilled & Ready products. There are different flavors and cuts of the chicken breasts, and this makes it so easy to add a healthy source of protein to your meals. Right now, Walmart has Grilled & Ready on a Rollback price of just $5.87. There is a lot of chicken in the bag, so this is a great price. And it's delicious. I bought a few bags to keep in the freezer so that it will be easy for me to keep making quick and healthy meals. 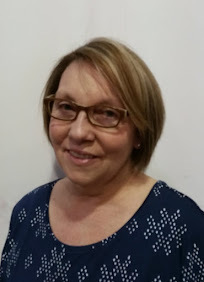 Like I said, I love chicken and so I can think of all kinds of delicious dishes I can make with Grilled & Ready chicken, ones that my family will love, too. To make my pizza, I just put a little healthy olive oil in a pan and added some chicken. It only took me about five minutes to heat it up, and it was nice and ready to add to the pizza. I love this convenience of saving so much time by not having to cook the chicken myself. And truthfully, I don't really like handling raw chicken, so this was another thing I really like about the Tyson Grilled & Ready. I make lots of pizzas for myself and my family and most times I do make my dough from scratch, but I wanted to try out a new whole wheat pizza crust that I came across. I usually put a fairly thick layer of spinach on top of the pizza sauce, which gives it a great healthy base. My grandchildren don't even mind eating the spinach this way, and I feel good knowing how good it is for us. I used red bell pepper, mushrooms, red onions, and the spinach for my veggies. I added my Tyson chicken, and some mozzarella cheese. I just love this pizza combination, and I think it tastes better than some of the take-out pizzas I've had in the past. Try Tyson Grilled & Ready Chicken to make a healthy and delicious meal of your own. And don't forget to take advantage of Walmart's great Rollback price of only $5.87 a bag. Samples will be available at select Walmart locations for their in-store demos, from January 16 -19. Be sure to checkout the Superfridge too, which can be found in 1067 stores. You can also find great daily recipes and tips on the "Just Add This" tab on the Grilled & Ready Facebook page, where they will be giving out weekly prizes, now through March 2014. In a medium frying pan, heat olive oil. Add chicken, heat through until no longer frozen. Put pizza crust on a 12-inch pizza pan, spreading pizza sauce on top. Add two layers of spinach, and the rest of the vegetables. Add cooked chicken, sprinkle with cheese. Try making this pizza for a quick and healthy lunch or dinner. Enjoy! You can find out more about Tyson Grilled & Ready Chicken by following them on Twitter, and by going to the Tyson website. I love pizza and this one is healthy and it looks beautiful too! Thanks so much Patty! Yeah, I'm a big pizza lover too. Yum! !